Longwood Gardens' new solar field is expected to generate some 1.5 KW of power by year's end, doubling by 2018. KENNETT — No one has ever accused Longwood Gardens of not being green. But sometimes, having acres and acres of lush plant life isn’t enough — and for Longwood, being figuratively green is becoming just as big priority. 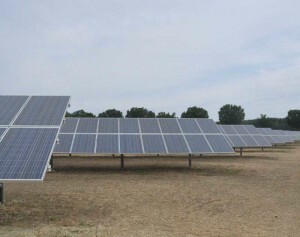 About 100 people — including key elected and government officials from the area — gathered Thursday to formally dedicate Longwood’s new solar generation field, one expected to generate 1.5KW in power by later this year, or enough to power about 138 local homes, with the goal of doubling that figure by 2018. Unlike many solar installations, this one is uniquely Longwood Gardens in nature. Instead of installing the solar collectors on a flat, paved field, the fixed-angle collectors roll with the gentle hills, just down a slope from Greenwood Elementary School. The land around the collectors remains planted with grasses and it looked like a few wildflowers were peaking out here and there, giving the power generation fields a decidedly non-industrial look. “We really wanted to work with the existing topography,” said Paul Redman, Director, Longwood Gardens. He noted that he and his colleagues view it a bit as a horticultural experiment by trying to preserve more of a “meadow” look and feel to the property, which also sits just south of US-1. “This is something we’re really excited about,” he said. The project, some five years in the planning, came together with the assistance of various state and local governments, and is being partially funded by a pair of state grants totaling some $1.8 million. Among those cited for helping to shepherd the project through the state government were State Representative Chris Ross (R-158), a long-time champion of alternative energy projects, as well as State Senator Dominic Pileggi (R-9), the Senate Majority Leader, who was able to provide some legislative muscle to keep the project moving in Harrisburg. Although Ross was detained in the state capital for a key vote on unemployment insurance, Pileggi was able to attend and made it clear he felt that the project at a place as visible as Longwood Gardens will have a greater impact, beyond just the reduction of fossil fuels consumed to generate power. Michael Krancer, the new Secretary of the state Department of Environmental Protection praised Longwood for taking such a serious step to diversify its energy system. 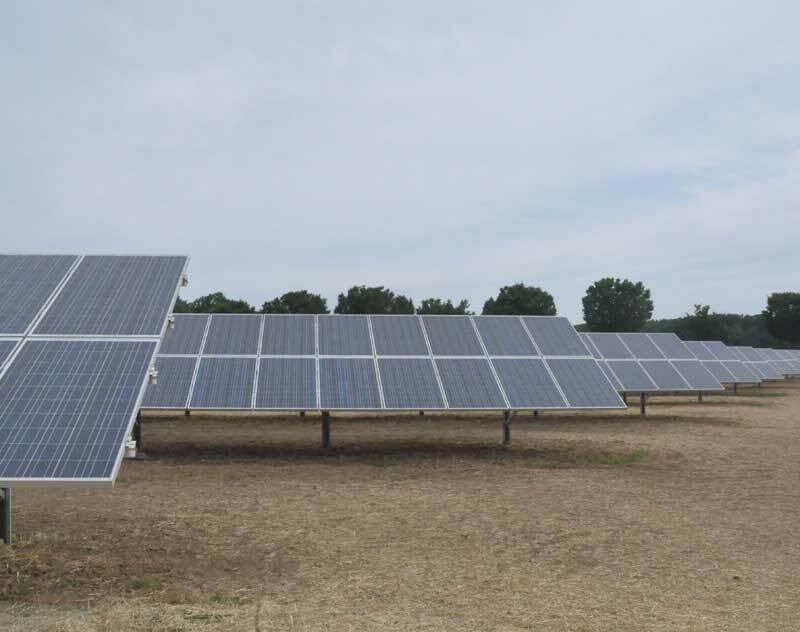 Redman offered praise to local officials, too, including the Kennett Township Board of Supervisors, which previously had never been asked to consider a solar project as large or involved as what Longwood proposed. But according to Allan Falcoff, chair of the board of supervisors for Kennett, while they understood they were breaking new ground, they also understood the importances of Longwood Gardens to the region and the township. “Longwood, without a doubt, is the jewel in the crown of Kennett Township,” he said. Falcoff noted that working with Longwood is consistent with the township’s long history of open space preservation, as well as encouraging the use of new technology in the agriculture business to produce cleaner, more efficient farming. Now, though, with Longwood’s installation, he said, others are now coming forward to ask the township about doing similar projects, something that could further help the township become a “green” haven. Numerous other local officials, including East Marlborough supervisor Richard Hannum, were in attendance at the official “power on” event. Although virtually no visitors to Longwood Gardens will see the new solar field, they can learn more about solar energy in the Idea Garden where a new 18-foot-tall flower-shaped solar demonstration system is now installed.